MILWAUKEE, Wisc. 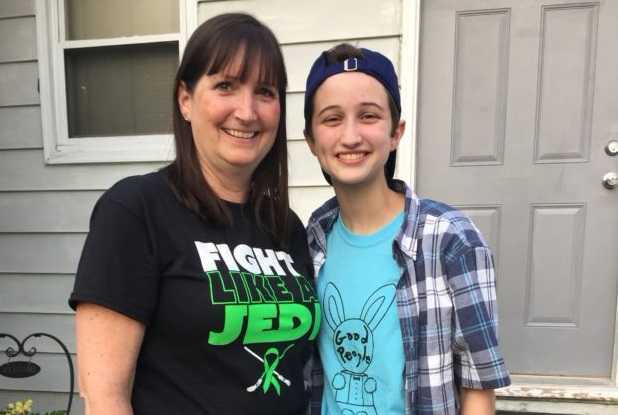 — A school district in Wisconsin has agreed to pay $650,000 in attorneys’ fees and $150,000 to a female former student who identifies as male, who sued in 2016 after being prohibited from using the boys’ restroom. The Transgender Law Center says that the $150,000 payment is for “harms … experienced as a student” at Tremper High School and will bring the matter to a close, instead of bringing the case before the U.S. Supreme Court, which had initially been petitioned to hear an appeal. “This settlement sends the clear message to all school districts that discriminating against transgender students is against the law and harms students who simply want to go to school,” Joseph Wardenski of Relman, Dane & Colfax PLLC, which also represented the student, said in a statement. “We are pleased that KUSD decided not to needlessly drag this case through the courts any further, to compensate Ash for the concrete and avoidable harms [she] suffered, and to finally allow Ash to move on from this painful chapter of [her] life,” he said. Ronald Stadler, attorney for the board, said that the decision was made in part to avoid the cost of further litigation. He outlined that he believes the issue should, however, be decided by the U.S. Supreme Court at some point. “I think eventually the Supreme Court is going to have to take this issue and issue a ruling, because we have lower courts all across the country that have looked at it in various ways, and it’s not always consistent,” Stadler told the New York Times. As previously reported, Ashton Whitaker, now 18, sued the Kenosha Unified School District No. 1 and Superintendent Sue Savaglio-Jarvis in July 2016 for being denied use of the boys’ restroom and for continuing to be referred to by her feminine name. She also took issue that officials required her to room with the girls during a trip to Europe as part of the Tremper High School student orchestra. Her attorneys contended the acts violated Title IX of the Education Amendments of 1972 and the Equal Protection Clause of the U.S. Constitution. Whitaker’s complaint alleged that officials at Tremper told her that she must either use the girls’ restroom or a single occupancy restroom in the school office. She later surreptitiously began using the boys’ restroom, but was spotted by a teacher and again instructed to use the girls’ restroom or the lavatory in the office. Whitaker then sought to avoid using the restroom at all at school, but said that limiting her fluids caused medical issues. She continued, however, to use the boys’ restroom at school in defiance of the district policy. Whitaker therefore filed suit against the district to gain entry into her preferred restroom, citing the suffrage of post-traumatic stress disorder from her gender dysphoria and the school’s requirements. U.S. District Judge Pamela Pepper, nominated to the bench by then-President Barack Obama, ruled in her favor in September 2016. “There’s no question that Ash has already suffered harm and has had physical repercussions from the policy, as well as emotional repercussions,” she wrote. The district appealed, and last May, the Seventh Circuit affirmed the decision, contending that boys’ restrooms have stalls and that all Whitaker needs to do is close the door on her stall. The court also opined that because no students had complained during the six months Whitaker had used the men’s restroom, no harms had been proven. Whitaker graduated from high school just days after the decision. As previously reported, Whitaker had previously fought her school district for prohibiting her from running for prom king. Officials relented on the matter at that time.